Is a Ceiling Fan Okay in a Baby's Room? 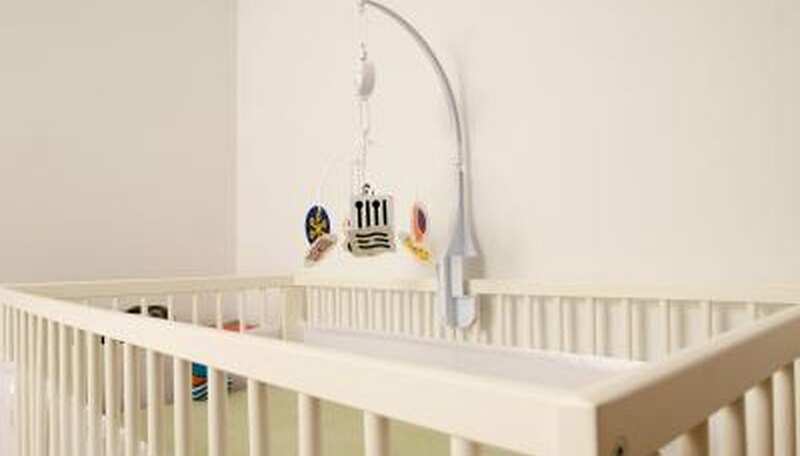 Prepping the nursery with things like a crib, changing table and diapers is an obvious step toward finalizing preparations for the arrival of a new baby, but whether or not to include a ceiling fan in the baby's room is often overlooked. As the research on Sudden Infant Death Syndrome continues, some studies are finding using a ceiling fan in a baby's room may actually reduce the risk of SIDS. Deciding what is best for your baby may seem overwhelming. A 2008 study in the Archives of Pediatrics and Adolescent Medicine found using a ceiling fan in a baby's room significantly reduces the risk of SIDS. In fact, the study claims that having a fan in a baby's room lowers the risk of SIDS by 72 percent. The belief is that the circulation of air caused by fans reduces the incidents of "rebreathing" by the baby. One of the possible causes of SIDS is that as a baby exhales carbon dioxide, it gets trapped near the baby and then they breathe it back in. 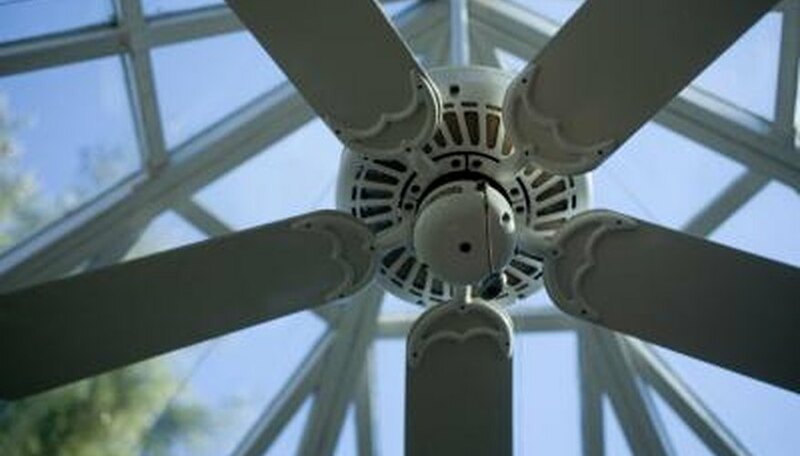 A ceiling fan moves the trapped carbon dioxide away from the airway and replaces it with fresh air. Some parents hesitate to use ceiling fans in a baby's room for fear of cooling the room and causing the baby to be too cold to sleep. According to an Oct.
6, 2008 article in "The New York Times," doctors claim ceiling fans do not actually cool the air, they simply circulate it. If a baby is already perspiring then the air blowing over the body will increase evaporation, which cools the baby off -- because he is already too warm. However, the natural body heat of the baby will have caused the air around him to warm and, therefore, the motion caused by the fan will move the warm air away from the baby and replace it with fresh but also cooler air. To combat air temperature, dress your baby in what you feel is appropriate for the temperature of his room. If you choose to use a ceiling fan in your baby's room it is important that you do so safely. Be sure the fan is securely attached to the ceiling. Test out all speeds to ensure none are so fast that they cause the unit to shake itself loose. Make sure any cords or chains that hang down from the fan are completely out of the baby's reach. As your baby grows, continue to raise the cord so it is never within a baby's reach even if they climb up onto a piece of furniture to get closer. Any remote controls or wall switches that activate the fan should also be kept out of the baby's reach. 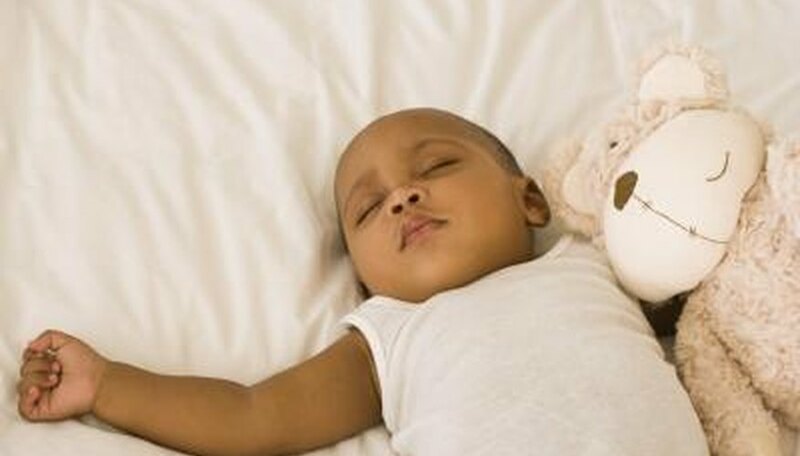 It is important to note that, while this study does find that ceiling fans may help to reduce the risk of SIDS, the actual cause of SIDS is still unknown and using a fan is not guaranteed to prevent it. Additional suggestions for helping to reduce the risk include: placing the baby on its back to sleep, removing crib bumpers, not using blankets or soft bedding, keeping the room at a comfortable temperature (not too warm) and avoiding exposing the baby to smoking.